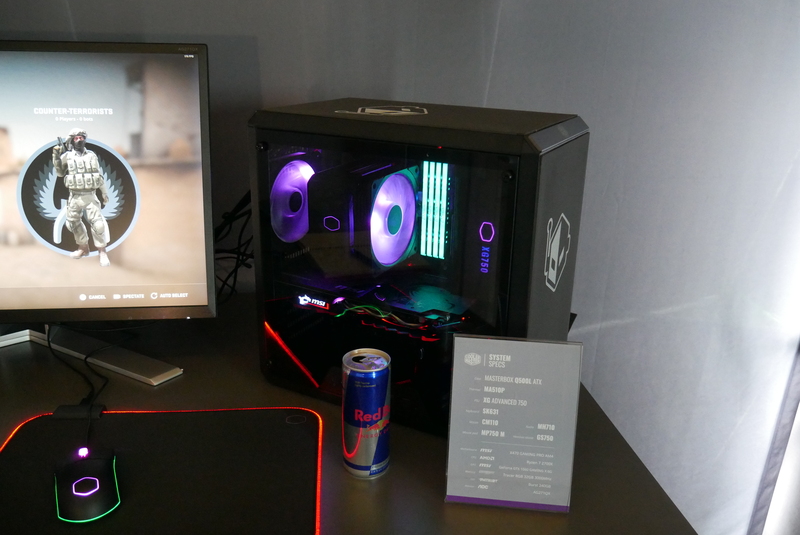 Cooler Master introduced two new lines of Power Supply Units at CES 2019. Unfortunately only one of them was visible in our pictures as the more premium V Platinum line was installed inside the higher end builds with PSU covers. 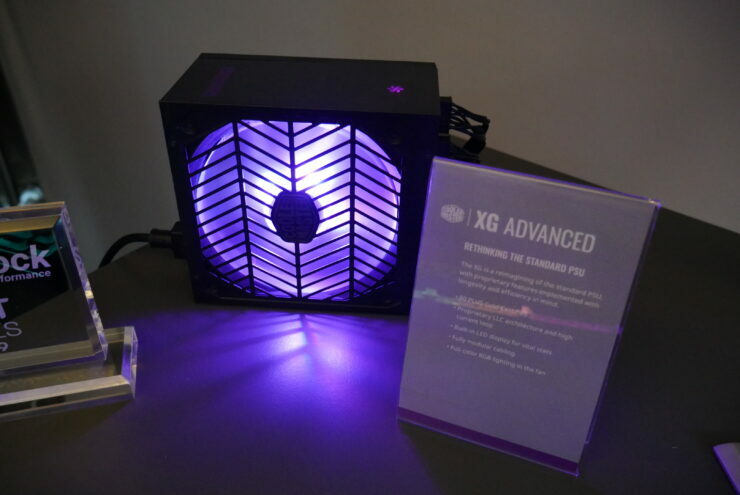 Luckily the XG Gold Advanced was showing all out so we got some pictures of it in action. Being able to see useful diagnostics on the PSU itself seems to be a pretty interesting idea. 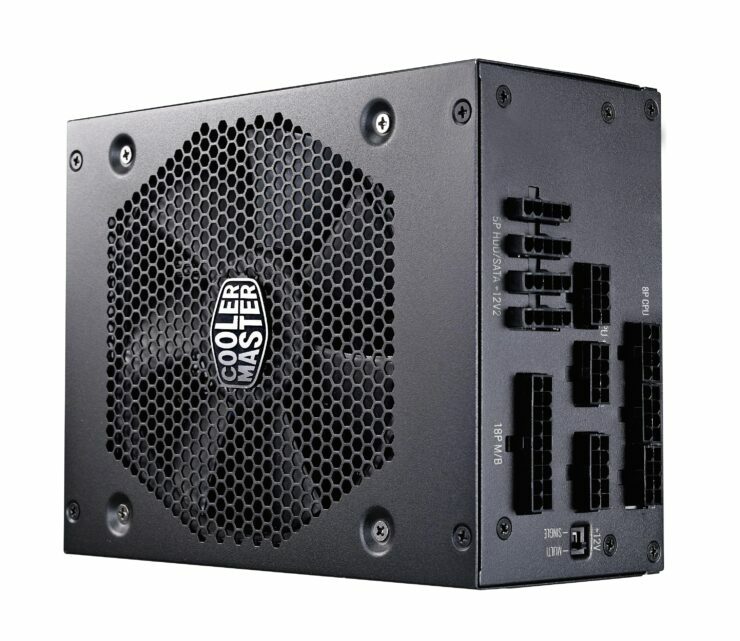 The V Platinum series joins Cooler Master’s high end PSU lineup. 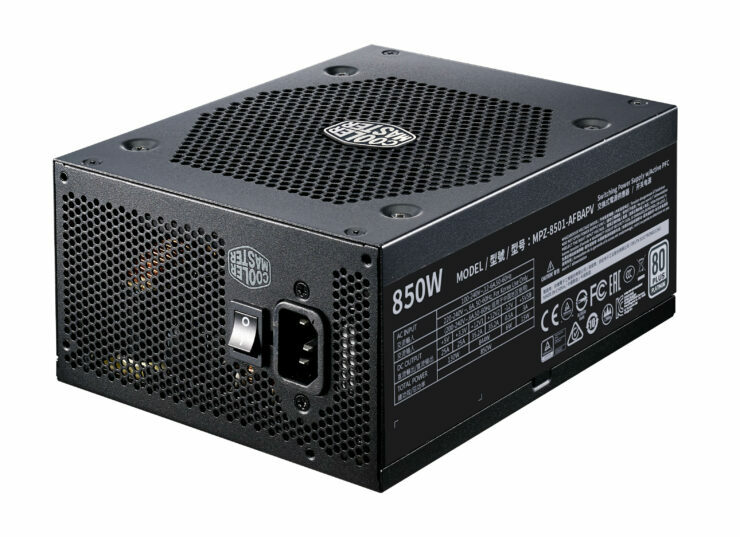 Equipped with 100% Japanese capacitors, an 80 PLUS Platinum efficiency rating and wattage levels of 850, 1000 and 1300, the V Platinum will provide enough power and stability for any heavy gamer, content creator or overclocker. A built-in rail switch allows users to change between multi and single rail power output settings for more stability or efficiency depending on PC configuration and use scenario. 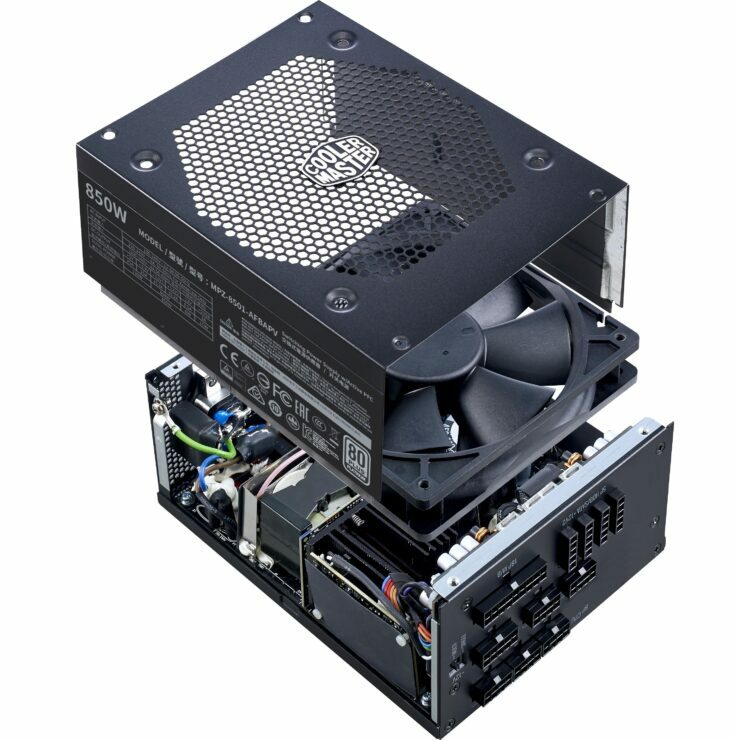 The built-in Thermal Regulation Mode (TRM) of the V Platinum regulates the temperature of the PSU by slowly increasing the fan speed when temperatures increase, maintaining a comfortable unit temperature and minimizing noise output. 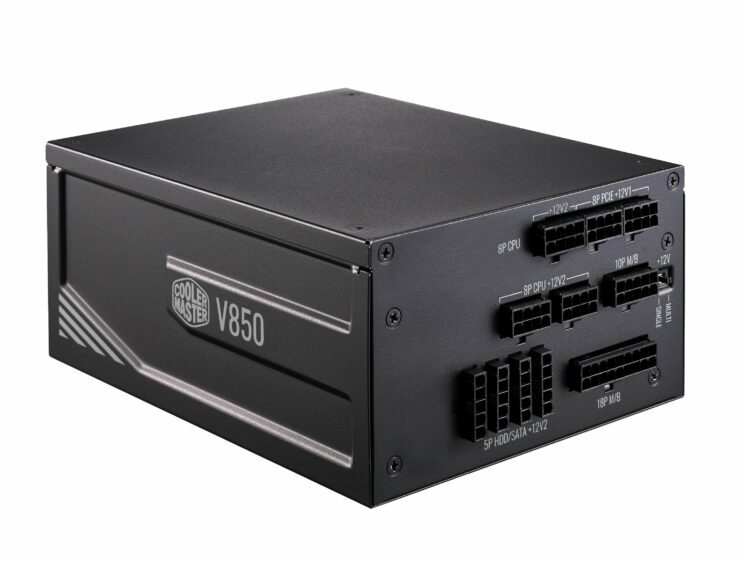 This full-modular PSU comes with thicker, 16 AWG PCIe cables and a 10-year warranty for years of powerful performance. 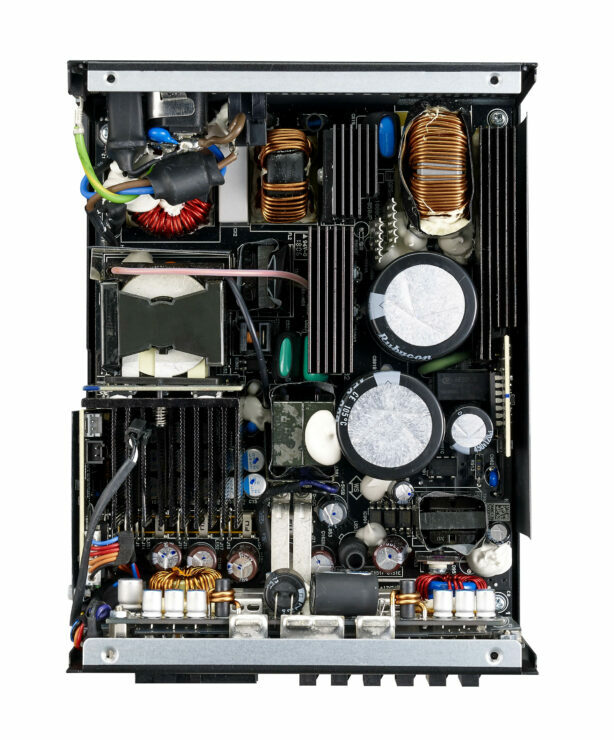 Unveiled at Computex 2018, the XG Gold Advanced is the first generation of PSUs fully designed by Cooler Master’s in-house engineering team. 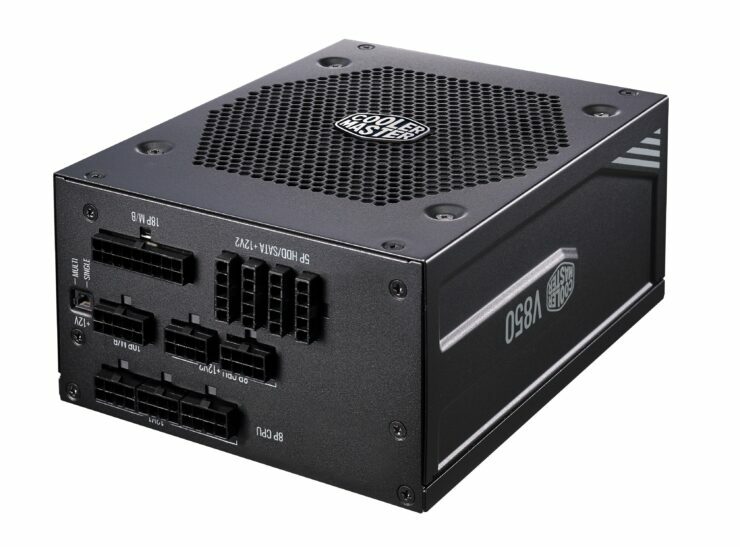 It’s unique digital, LED panel displays PSU load, fan speed and temperature in real time. 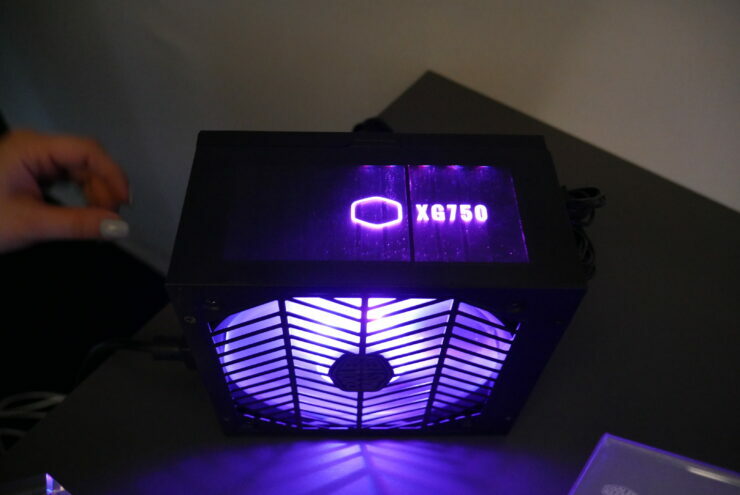 The XG Gold Advanced will be available in 550, 650 and 750 Watt levels, is fully-modular and comes with high efficiency 16AWG PCIe and CPU cables. 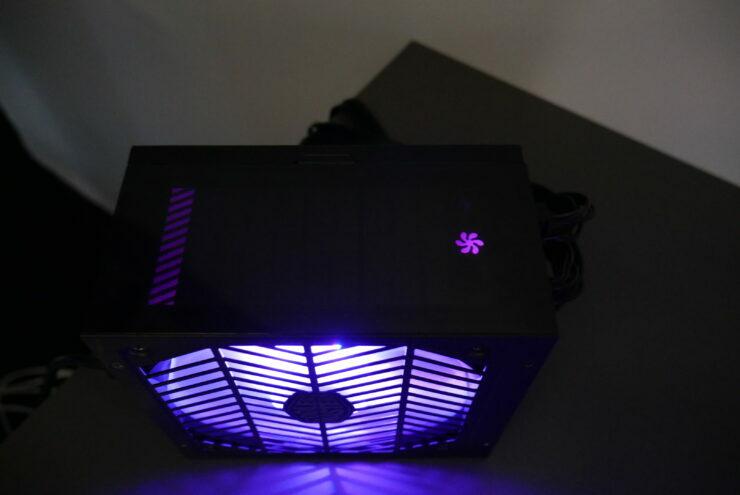 In addition, the 135mm FDB fan is equipped with RGB lighting and is compatible with AURA SYNC. Backed by a seven-year warranty, the XG Gold has an 80 PLUS Gold efficiency rating and a continuous operating temperature of 50°C. V Platinum: March 2019 for a starting MSRP of $199 – $299, respectively.